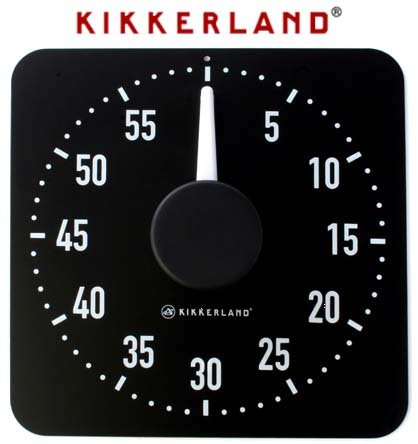 One new and boxed- Kikkerland XL Minute Kitchen Timer. Steel with magnetic back. Attach to metal stove, fridge and more. Large Dial is easy to operate. Large numbers are easy to read. A unique style of timer for sure. Design Jozeph Forakis. Size 8.5 X 8.5 X 1 inches. Kikkerland 60 Minute Kitchen Timer.